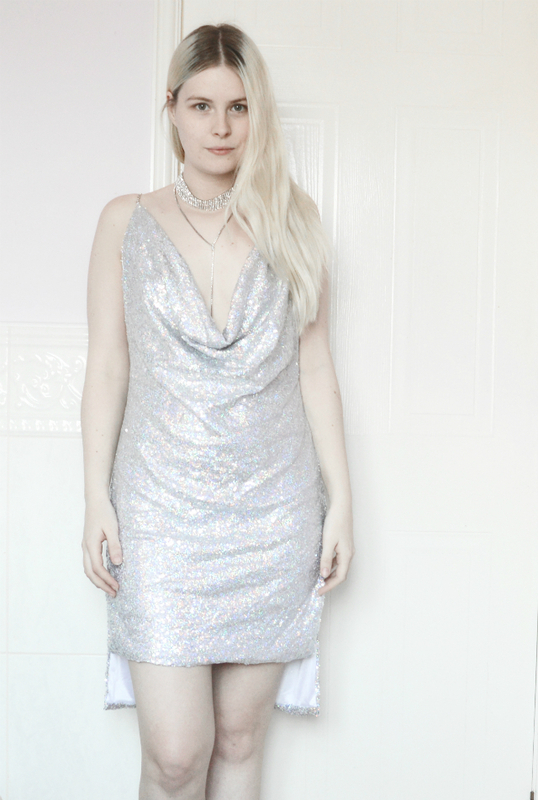 Today's post features this gorgeous silver sequin dress and silver choker both from RoseGal. How beautiful is this dress from RoseGal? 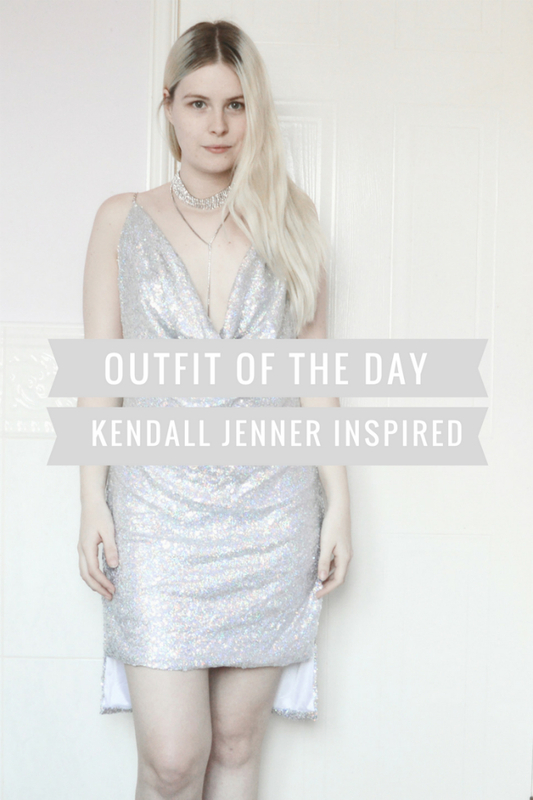 It's this gorgeous silver sequin dress that is inspired by the dress that Kendall Jenner wore for her birthday. I definitely think she wore it better of course. I love how pretty it is and how much it stands out, you would definitely get noticed if you went out in this dress! It has these little chain straps which fall down your back too which is a lovely detail. The one thing I do wish about it though is that I would like it to go more in at the waist because it doesn't do a great job of accentuating my waist but other than I love it. The choker is also from RoseGal and again is in this lovely silver colour with a drop chain part down the middle. If you know anything about me you know that I love chokers of all kinds so this is another plus for my ever growing collection. I feel super dressed up with this choker and I plan to wear it way more often to dress up any outfit. *I received these pieces free of charge for the purpose of this post. All opinions are my own. Its good to see in such eye catching and fabulous dress. Great that you tried the dress by getting inspired from Kendall Jenner. The dress looks pretty and suits on you.